Welcome to our migrant tales series – hundreds of first hand accounts of the migrant experience of New Zealand. Today’s tale was first published on the forum Expatexposed.com and is retrieved from the Internet Archive. 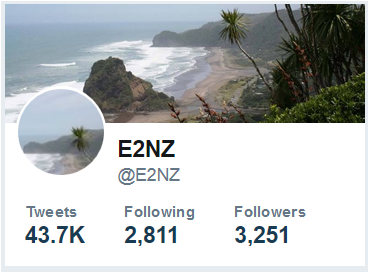 If you’ve ever visited New Zealand and wondered what all the fuss at E2NZ.org is about, you should know that living and vacationing in New Zealand are two entirely different experiences, and what suits one person does not suit another. The caveat “It’s not for everyone” is more true of New Zealand than people think. Expat Exposed makes a case for New Zealand as a dish best served with an allergy warning. 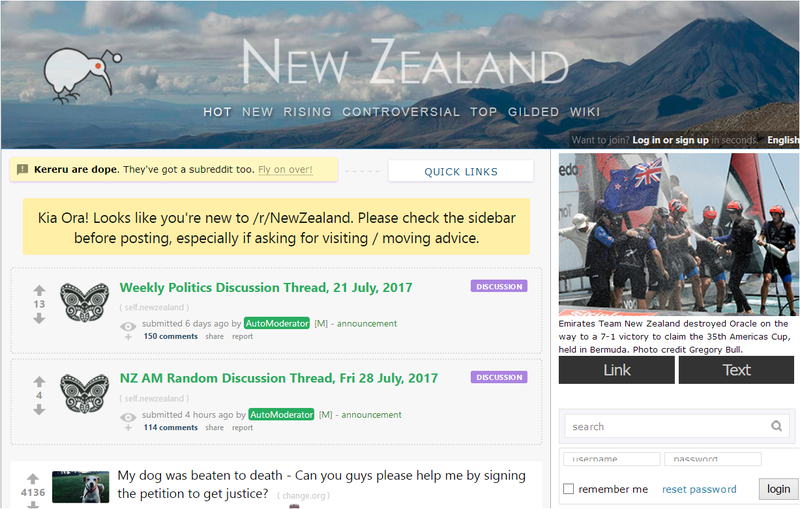 I think New Zealand is a nice place to visit. The landscape is spectacular, foreign currency goes a long way, and as a traveler, you can expect service standards that are specifically geared towards visitors. Served up with a rich glaze of vacation spirit, NZ is a nice dish. No wonder so many wish they could eat it every day of their lives, and dream of stepping ashore as migrants instead of mere visitors. Immigration New Zealand knows this feeling well. A couple of years ago, they even started a campaign to persuade holidaymakers to stay on as migrants. The picture of New Zealand presented by NZIS is virtually identical to its tourism content. A place of ease, where your money stretches far. A place that embraces people and cultures from all over the world. A place that is comfortably un-foreign to those from other English-speaking countries. It’s no exaggeration to say that tourism has become an indispensable part of the NZ government’s immigration drive. The tourism effort has created a brand that NZIS is taking upmarket, in pursuit of a more valuable economic prize of skilled, moneyed migrants. Tourism as the gateway to migration: Nothing wrong with that, right? There is a fundamental difference between vacationing somewhere and living there. A vacation in New Zealand is something most people will enjoy, like ice cream. It’s a delicious treat that goes down easy. Living in New Zealand, however, is another matter altogether. What many of us have discovered is that New Zealand is a very particular dish—in other words, less like ice cream and more like shellfish. Shrimp, lobster, crabs and crayfish. Not only are these not for everyone, they can be downright dangerous for a good number of people. One man’s feast is another’s trip to the ER, and the divide between migrants who like New Zealand and those who don’t can be just as stark. The fact is, contrary to the mild and marketable image it has been given, New Zealand is a society of unapologetically sharp corners. It is a much more idiosyncratic country than its government gives it credit for. It is not alterna-Britain, a retro-fantasy spin on Los Angeles, or a watered-down version of a Western country of choice. New Zealand is its own distinct place, with very well-defined eccentricities that simply can’t be negotiated away. It is also a small, remote country with a low population, making those eccentricities virtually unavoidable. For those who fit in, this only enhances their pleasure and satisfaction: It’s an all-you-can-eat shellfish smorgasbord! For those who don’t, it can be pure misery, an existential equivalent of hives, nausea and anaphylaxis. This is at the heart of the disconnect that has played out on this board. Many Kiwis are perplexed and angry at shrimp-haters who made the decision to come to the Land of Shrimp. Are you stupid or something? Shrimp-loving expats have trouble understanding why some people are losing their lunch and swelling up like a balloon after a sip of lobster bisque. Try the crab cake instead—you’ll feel better! And all the while, the shellfish-allergic keep asking, why didn’t you just SAY this was the Land of Shrimp? Why dress up a garlic prawn as a Chunky Monkey? Why, indeed? The short answer would be that New Zealand can’t keep its own people, and migrants generate a lot of money. Ice cream just makes a better lure than shellfish, to put it one way. The more complex answer is that as a society, New Zealand has trouble articulating its identity. As a culture, it knows there is something unique here, but has not gone through an honest self-examination necessary to describe to outsiders what that is. Instead, New Zealand often just agrees with whatever flattering projection an outsider makes. Ice cream? Ice cream, sure mate, that’s what we must be. In other words, what appears at first glance to be a friction between some newcomers and New Zealand is really a symptom of New Zealand’s identity crisis. Just now emerging from an extended childhood into a world where so many identities have already been claimed, NZ knows not what it wants to be. The country is unusually observant of its British roots, but also knows that the Mother Country isn’t all that wonderful. It engages in anti-American teachings of the type that would not be out of place in Cuba, while consumers snap up products advertised as “Straight from America!” and the suburbs of its tiny cities sprawl with tract homes and McMansions. An equivalent of the 10th of New Zealand’s population lives in Australia (even immigrant-hungry Australia became alarmed and cut off the dole), but resentment of Australia is common, and the level of ownership exercised by Australian companies adds credence to the pique. Where does New Zealand fit in? Different parts of Kiwi society are constantly trying on aspects of America, Australia, and the UK, in a mishmash of borrowed identities that sits badly on the nation who is most definitely none of these places. It’s not atypical to see a Kiwi family where the grandparents act ’50s English, the parents want to live like suburban Arizonans, the kids have a bad case of gangstanitis and Hilton’s Disease, and the lot of them will be moving to Australia next year. Gallipolli and the memory of serving a bygone empire shine brighter than a future in ASEAN, and the fabled Kiwi OE seems to stand for Ogle Europe even though Hong Kong is nearer by 15 hours. The clock has ticked down to 2008 and 2 out of the top 3 economic superpowers in the world are Asian, but New Zealand is still reluctant to be a Pacific Rim country. It sits by the phone waiting for London to call, heedless of the 12 hours’ time difference between Auckland and Greenwich. So here we are, in New Zealand. The left-leaning, One-World, tech-savvy mirage conjured up by spin doctors in Wellington. A second banana to Australia, being abandoned by its own sons and daughters bent on an upgrade. A beloved homeland whose charm is as elusive as the national bird, but no less real or precious. Will the real New Zealand stand up? This is an extremely insightful piece. One of the things prospective migrants should remember is that migrant turnover in New Zealand is very high. A sizeable percentage of migrants return to their home countries or to new third countries within several years of arriving. One reason why New Zealand started requiring citizenship applicants to spend five years in New Zealand rather than three is that so many of these people used their New Zealand passport to depart for Australia.